Smug Satisfaction, who bumped into some very stiff opposition at the start of her career in Victoria last year, looks set to break through for her first win for Gold Coast trainer Michael Costa at Grafton on Friday. Formerly trained in Victoria by Henry Dwyer, Smug Satisfaction lines up for her second run for the Costa stable and looks the one to beat in the F&M Class 1 Handicap (1115m). The Sebring-Elegant Jewel mare was originally purchased by Dwyer at the 2016 Magic Millions sale for $45,000. She was later picked up by her current part-owner Daniel Driscoll for $20,000 at the Inglis online sale back in February this year. Smug Satisfaction had the misfortune to run up against the likes of future dual-hemisphere Group One star Merchant Navy and exciting sprint prospect Nature Strip during her first few starts for Dwyer in Victoria. She won one of her 10 starts in the south - a Geelong Maiden win at her second start back in July last year - but produced one of her better efforts when third to the brilliant Nature Strip over 1000m at Moonee Valley last November. Smug Satisfaction resumed for her first start for Michael Costa [pictured left] with an encouraging second to Time To Play in a F&M Benchmark 65 Hcp (1200m) at the Gold Coast on September 29. "Her first-up run was very good and she was probably a bit stiff in the race after striking some trouble at about the half-mile," said Costa. "She's pulled up well from that first-up run and is certainly working a lot better than a Class 1 horse. "She does drop back from the 1200m to the 1115m of Friday's race but she's fresh enough and I don't see that as any issue. And Friday's race does look a little bit easier than the Gold Coast race." Smug Satisfaction, who drew ideally in barrier four, could be Costa's sole runner from his three acceptors at the nine-race Grafton meeting. First-starter Little Nikkas is unlikely to run after drawing gate 16 in the first race, and Nothing Needed may be a doubtful runner in the final event, the Class 2 Hcp (1420m). Ryan Maloney, who partners Smug Satisfaction, looks to have several other good rides at the meeting before he heads off to Melbourne on Saturday to partner the Toby Edmonds-trained Winter Bride in the Group Three Cape Grim Beef Steaks (1200m) at Caulfield. Maloney's other Grafton rides are Turmoil (race one) and Rumberella (race three) for Toby Edmonds and Tough One (race four) for trainer Stephen Lee. Jockey Ben Looker and trainer John Shelton will be rivals chasing a huge result at Randwick on Saturday, but will combine with Caro Cavallo in the final race at Grafton, the aptly-named Belflyer For The Kosciuszko Class 2 Hcp (1420m). Shelton will saddle up Belflyer in Saturday's $1.3m The Kosciuszko (1200m) at Randwick on Saturday while Looker continues his great association with the Jenny Graham-trained Victorem in the same race. 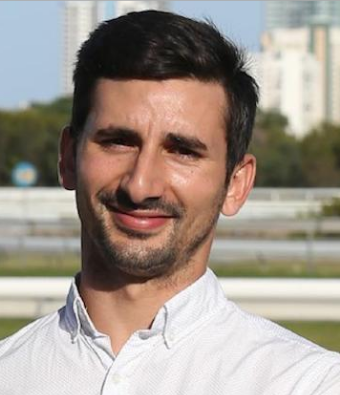 Caro Cavallo is chasing a winning hat-trick at Grafton after winning a 1706m Maiden there on September 1 and then dropping back to 1420 to land a Class 1 on September 25.